Montenegro continues to hit more top travel lists for the epic seaside views, the never-ending mountain peaks, and the adventures scattered all over the country. Along with increased awareness comes an increase in the number of attempts to make quality travel videos. To date, here are the best of the best. 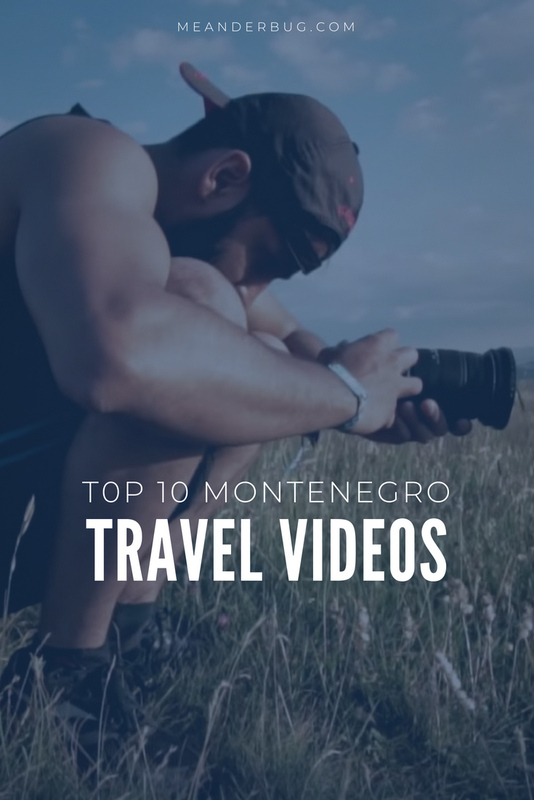 These are the top 10 Montenegro travel videos. If you are considering a trip, this can be a good place for doing a bit of dreaming. Instead of a 1 to 10 ranking, we assigned a category for each film. To be fair, we started with the 10 best films and then categorized them in unique ways. Some of the categories may feel contrived. To that we say, of course they were. But this is our best of selections. More are surely coming and there is a chance we missed something. Leave a comment with your thoughts on what should be in the list or feel free to suggest a new category. 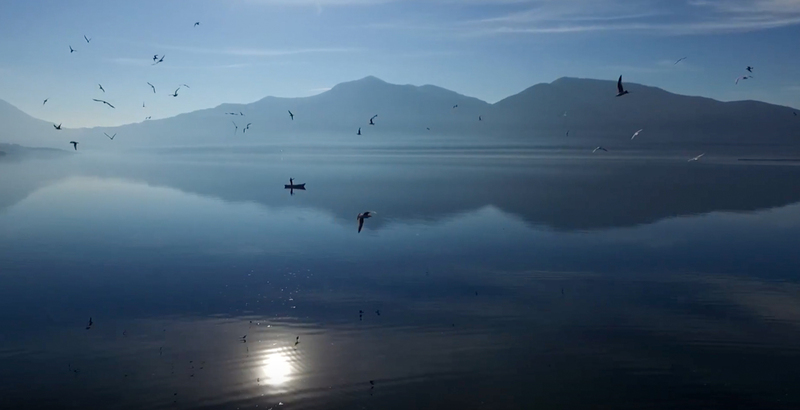 Overall best production in a Montenegro travel video goes to the guys at Hike the World. They covered more of the country than 8 of the other pieces, and they did it with superb artistry. They have some brilliant shots of the Tara Bridge, Perast, Sveti Stefan, etc. As they just made this film, we asked them about their impressions. One of the filmmakers, Martin, commented that his biggest surprise about Montenegro was the “difference between places [they] visited. While the coastline looks very developed and full of tourists, there is a lack of development in Prokletije for example, even though it’s one of the most spectacular areas of Montenegro.” BTW – We agree with Martin, and we’re partnering with others in working to help develop travel opportunities in the less explored areas. This one was an easy selection. 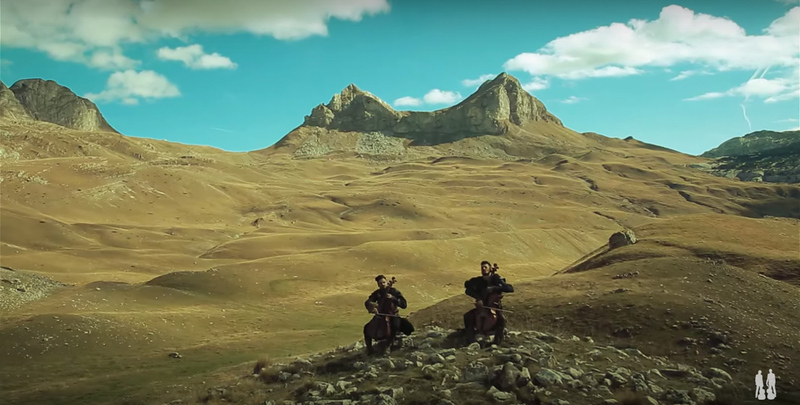 Take 2Cellos and put them in epic settings like the stadium in Pula, Croatia or the mountains of Durmitor in Montenegro and you have something epic. Plus that whole gladiator theme usually increases the energy level. Here is 2Cellos with their piece from Gladiator, Now We Are Free. This video comes from Top Gear by BBC with Matt LeBlanc. Yes, Joey from Friends created a bit of mischief in Montenegro. This piece showcases an Aston Martin, epic coastal views, footage of the largest contiguous, single-owner vineyard in Europe, a car chase in a dilapidated aluminum factory, and a few goofy punch lines. The Top Gear film could surely also qualify for the biggest production budget. This makes this 4:00 video worth a watch. This selection was also easy to make. The makers of this video piece began with tons of research and designed the video and accompanying information to help travelers understand and begin preparing for travel around the country. 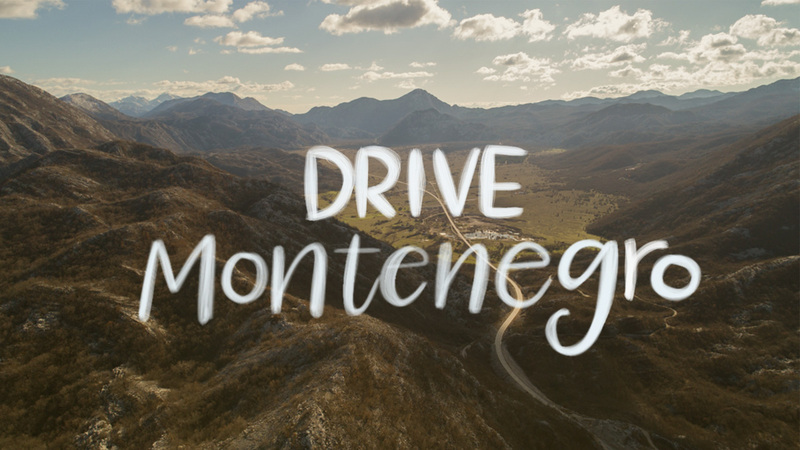 It may seem a bit self-serving as we are the ones that made the video, but we do feel like it fits squarely on the top 10 list along with the best roads in Montenegro info. Without drone footage this film could lack for some epic effect, but Sacha Luisada makes a strong cinematography effort with the glide cam. 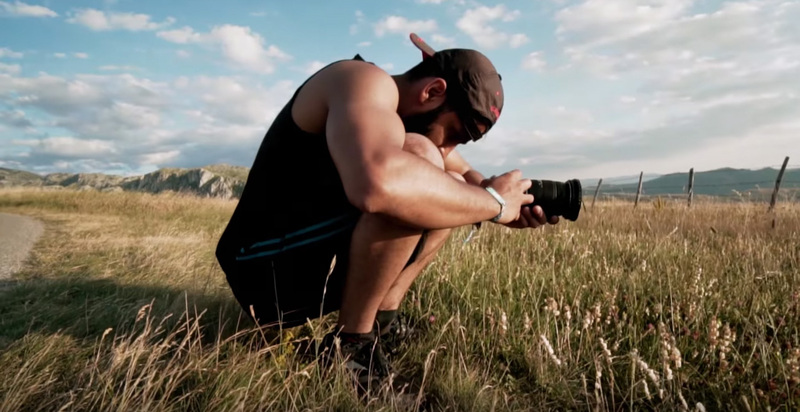 His use of time-lapse provides a punch to this film that earns it some top film recognition. While tracking all metrics due to some films having viewer counts on multiple platforms like YouTube and Facebook, this piece from 2016 currently has the most views (excluding the Top Gear video) as it nears 200,000. We actually missed one in our first ranking, so we’re adding it here. This is one of the oldest pieces on the ranking. It uses time-lapse photography for the whole piece. While it is superb on most of the piece, it does seem to lose its’ effect on some shots like at the Ostrog Monastery. When nature is moving, this technique works beautifully and gives a glimpse into the majesty. Based on the overall effect of this film, it belongs in the ranking. Al, the chef, and Daniel, the filmmaker, had a great vision for this series. Take a cutting board, a knife, and a skillet to epic locations and make international fare. Well done guys. Unfortunately, the web traffic didn’t take off to keep the series alive, but the 7 available episodes are worth checking out. Here’s the wintry version. At 6:54, this piece is long. However, the cinematography fights for the viewer’s attention. This film has what is simultaneously stunning and gut-wrenching (for any drone operator). The piece opens with foreshadowing as a single bird flies through the frame. Additional birds swim or flitter across the screen with the reflection making for some nice symmetry. And then, it hits. At the 1:07 mark a flurry of birds fly into the frame swirling and swooping. It may bring to mind a TIE fighter scene from Star Wars. As we have struggled with (and lost to) the birds in a similar setting, we are more inclined to grimace at the scene…but it is spectacular. And yes, it is worth watching. 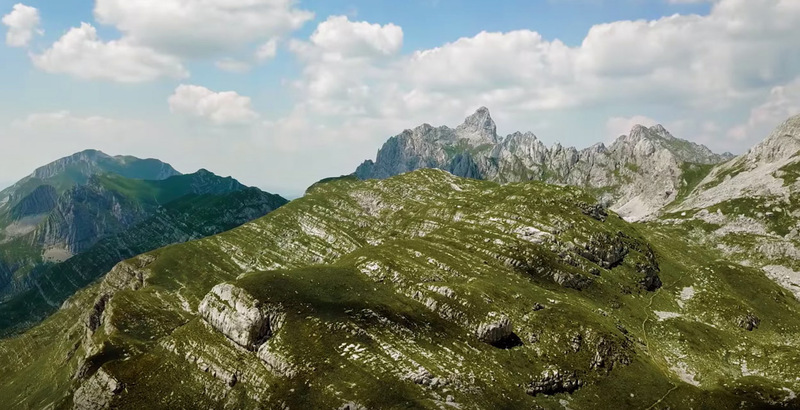 Lit Visuals did a spectacular job mixing drone footage, speed ramping, macro views, etc. to give great visual content. To follow adventurers along a journey throughout the country including whitewater rafting and canyoning adds to the appeal of the piece. The Gladiator reference while celebrated above feels a bit trite here. Nevertheless, this film is stronger than its current number of views and deserves more attention. This piece has some epic shots of three different parks. The scenes are from Durmitor and Biogradska Gora National Parks (which includes Tara Canyon) and Piva State Park. This is the only one of the top films that does not include coastal footage. Well done Mark for focusing on what has been a secondary story of the country. This piece by the NTO of Montenegro captures many of the most popular tourist spots including the beaches, Kotor, the Island of Perast, and the mountains and glacial lakes of Durmitor. The Top 10 listing is now the elite eleven, maybe? The team from Hike the World just published a mashup of drone footage of the top 10 places to see in Montenegro. The list missed a few places, but it is still a great contribution to get your travel plans going. Check out this great piece. Let us know what videos you like. And, if you make a new entry for the list, let us know in the comments. We want to check it out. Equal parts orchard and adventure, this farm stay invites guests to retreat from the busyness and noise of life. A katun ideally located for hikers, MTB, off-road, and adventurers who want to return to an organic world with brilliant sunsets.